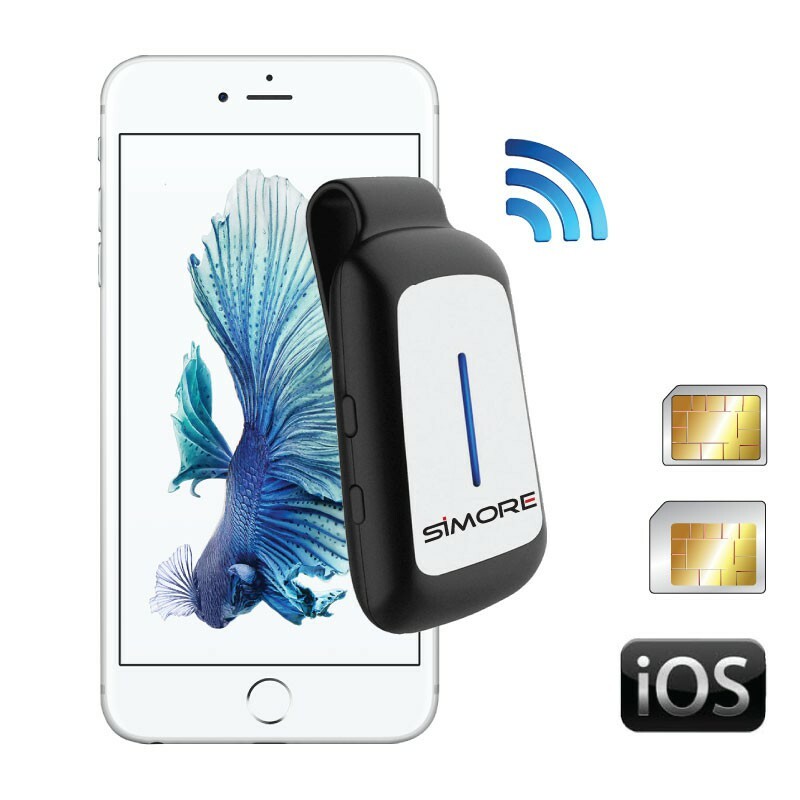 BlueClip is a dual SIM GSM Bluetooth accessory, lightweight and compact, it transforms your Apple iPhone, iWatch, iPad and iPod Touch devices to add one extra SIM card and get more voice calls and sms. BlueClip is a dual SIM adapter which allows to use 2 active SIM cards at the same time on your iPhone. BlueClip converter turns your iPad Wifi into mobile phone or your iPad Wi-Fi + Cellular into a Dual SIM cell phone. BlueClip turns your iWatch and iPod Touch into a cell phone to make and receive calls and SMS. Small, light and easy to carry, the Dual SIM device BlueClip always stays with you, all the time, everywhere. The Bluetooth adapter BlueClip is easy to use and is used without jailbreak. Blueclip converter is also a camera remote shutter for your iPhone. The long-lasting battery of the BlueClip dual SIM adapter is rechargeable by micro USB. Small and lightweight, only 30 grams, BlueClip holds easily to your pocket, your belt or a bag. What is the battery life of the BlueClip adapter ? The BlueClip dual SIM has its own battery. The battery life is 3 hours of talk time and 42 hours of standby time.